THE WAIT IS OVER! Thammasat LL.M. in Business Laws is now open for applications. 1.Hold or be expected to complete a university degree in law or equivalent from a Thai or international institution, which the University Council has accredited. 2.Have achieved a minimum GPA of 2.75 or equivalent. *The test result must have been issued for no longer than 2 years until the date of application. 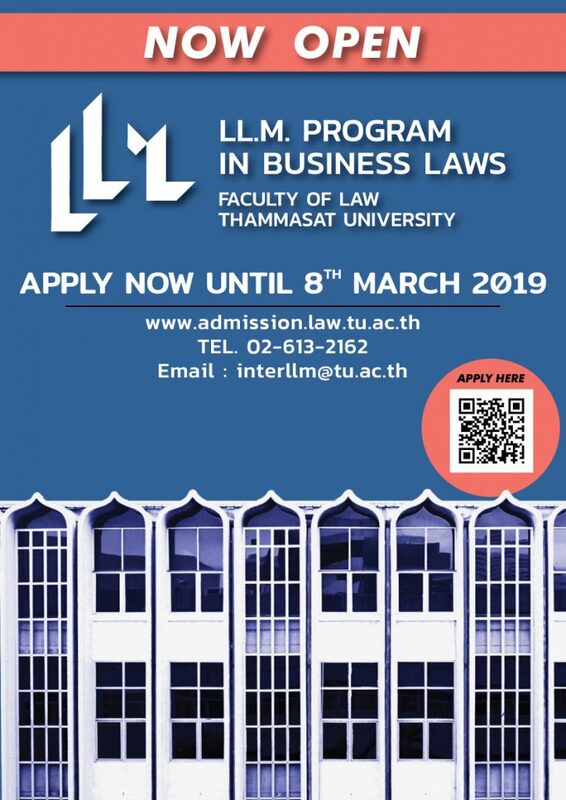 Successful applicants will be eligible for an interview session which will be held on Sunday 17 March 2019 at Faculty of Law, Thammasat University – Tha Pra Chan Campus.